Shellac in Tutti Frutti, Purple Dress from Forever 21 +, Shellac in Tropix, Leopard Heart Shorts from Forever 21+, Shellac in Hotski to Tchotchke, Black Pleated Skirt from River Island. This week's Wishlist is rather colourful and Shellac heavy... 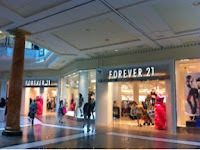 I have had Forever 21 on my mind as there is a newly opened store in the Trafford Centre that I have been most excited about! 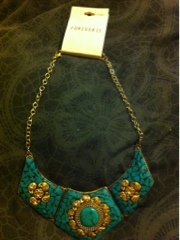 Their accessories are so nice but incredibly cheap so I have been itching to go to their newest shop! I visited the store last night and whilst it is MASSIVE I was rather miffed that they had opted to not put the plus size range in there. I know who people who are by no means large in the slightest.. go into Forever 21 and struggle with the sizing as it is pretty small to be honest so I was hoping they would have featured all of the collections they do as the 'plus size' collection has some really lovely pieces in there! But anyway rant over.. I am starting to plan for my trip away for my pal's hen do to Majorca in early September and one of the themes is 'Groupie Night'. I think these leopard print shorts are fab.. paired with a band top of some sort, some black flip flops, studded hairband and big hair, I am hoping that this outfit will be appropriately cliched groupie girl looking! The purple dress has such a lovely neckline and would be suitable for work aswell as play! A thin gold belt and gold sandals would set off the purple rather nicely! This River Island skirt is part of the AW12 collection so I am not sure if it is in shops yet. I am in LOVE with it! I have been HUNTING for a faux leather pleated skirt for AGES and this is just gorgeous! And a potential for the Groupie Outfit! As for the Shellac obsession.. I am a trained Manicurist and Pedicurist so have really got into nails and having nicely done nails myself. I love the colours that you can get from Shellac and also that it is very hard wearing and easy to apply. I may have to treat myself to one of these colours - the particular favourite is Tropix as it is such a beautiful bright coral colour!